Our objective is to provide the highest quality service to lenders and asset disposition firms by utilizing state-of-the-art technology, operations systems, professional ethics, teamwork, committment to excelence, and good old-fashioned hard work; thereby building a positive working relationship with each and every client. ACCURATE & ON TIME GUARANTEED! WATCH THIS VIDEO BEFORE HIRING ANY AGENT IN OUR MARKETPLACE! 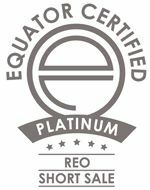 You Can Now Rest Assured That You Have Found The Area's BEST & #1 REO Team In The Area. CLIENTS INCLUDE: Fannie Mae (Direct), JP Morgan Chase, SunTrust, Greenriver Capital, IAS, Executive Asset Management, Chrisely Asset Management, Standard Asset Management, Precision Asset Management, And OTHERS. 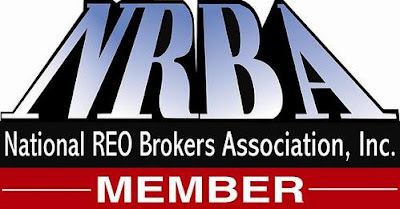 Our REO Operating Systems, Communication, And Marketing Ability Come Second To None! Assets Sold 304% FASTER & For 6.11% MORE Money Than The MLS Average! Closing Coordinator That Make SURE Your Assets Close ON TIME, To Secure YOUR Bonus! Large Team Of 10 Buyers Agents Who Handle 500+ Buyer Leads Per Month. Selling 100+ Buyer Sides Per Year! Utility services and maintenance arranged within 24 hours. Property is secured and re-keyed, if vacant. Cash-For-Keys negotiations opened, if applicable. Eviction proceedings started, if applicable. BPO completed to the client within deadline. Property photos sent to client (hard copy or email). MLS input on day of assignment. Signs ordered with informational brochures. Submit to multiple Internet web sites and MLS. Timely and accurate monthly market updates. All contract negotiations and document preparation. Regular updates with buyer's mortgage company. Horry County SC, Georgetown County SC, Williamsburg County SC, Dillon County SC, & Brunswick County NC. Myrtle Beach, North Myrtle Beach, Longs, Loris, Cherry Grove, Little River, Calabash, Carolina Forest, Conway, Murrells Inlet, Surfside Beach, Garden City, Pawleys Island, Litchfield, Georgetown, And Others.